To Download the MICC Numismatic Journal Index in PDF Click here! To access Current and back-issues (Password Required) Click Here! NOTE: Access to The MICC Numismatic Journal issues requires a password. A password is provided to all members in good standing via e-mail notification when published. With becoming a member of the Mid-Island Coin Club, you will receive a monthly copy of the MICC Numismatic Journal as well as an monthly auction list as part of your membership. The MICC Numismatic Journal offers you information on current society events, as well as original research articles on coins, paper money, tokens and medals – from all ages and across the world. 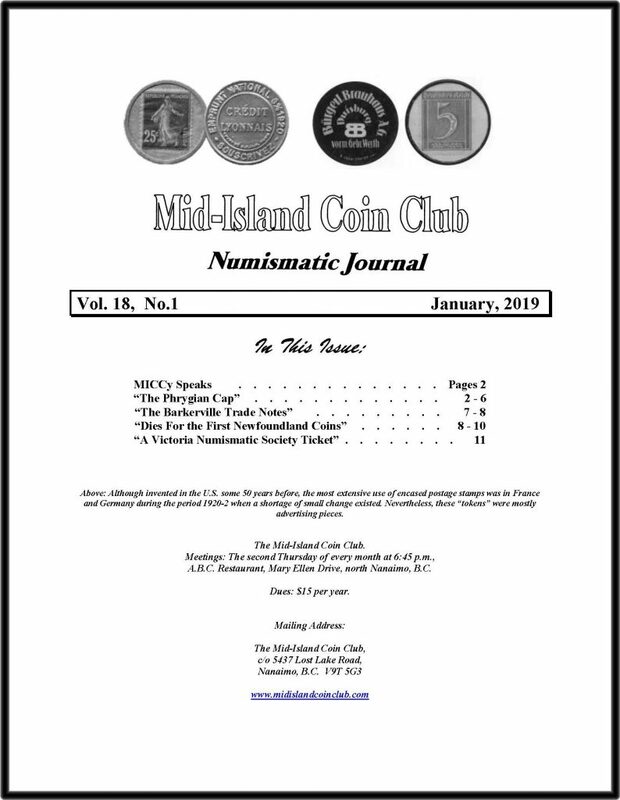 Membership in the Mid-Island Coin Club is good for one calendar year (i.e., January to December) and includes a subscription to The MICC Numismatic Journal. The Mid-Island Coin Club holds meetings on the second Thursday of each month. These meetings also serve as a social event and dinner can be ordered for those who wish. Activities discussed may include any combination of the following: trade, buy and sell, show and tell, guest speakers, and the ever popular, Great Mid-Island Coin Auction, an event not to be missed! To purchase your Subscription to MICC Numismatic Journal , please use the link provided here: Membership Application. Members are welcome and encouraged share their passion and expertise by submitting articles digitally to MICC Numismatic Journal.